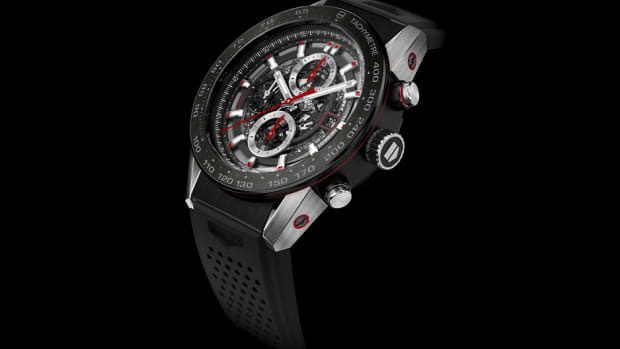 The second watch in their ongoing collaboration. 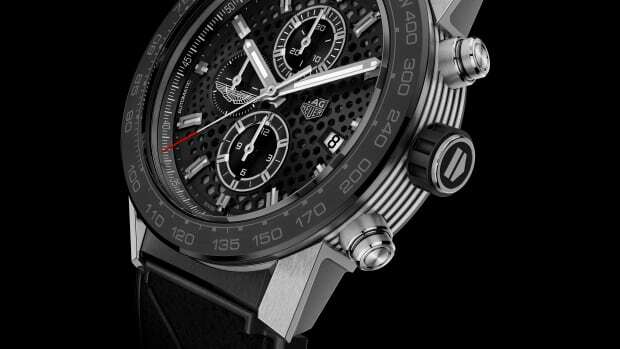 Aston Martin and Tag Heuer&apos;s timekeeping partnership continues as the two companies reveal their second watch, a special edition version of the Carrera Caliber Heuer 01. 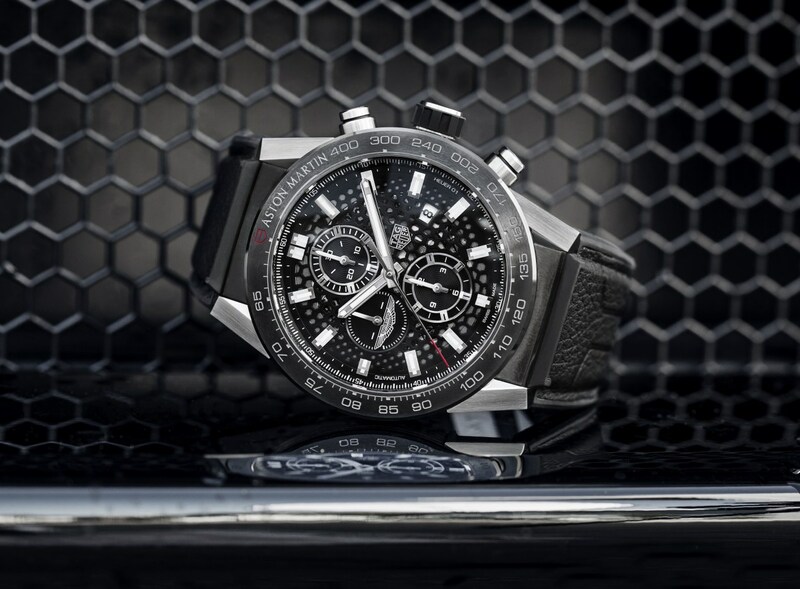 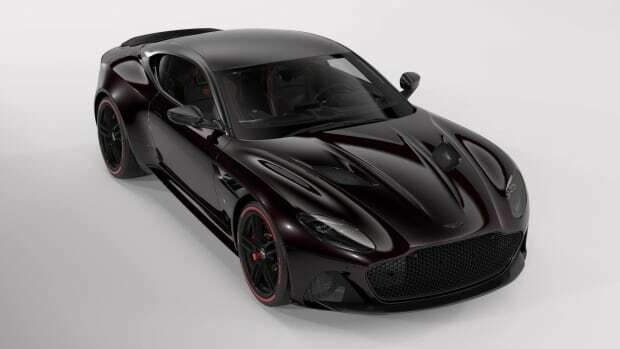 The 45mm watch features a black brushed ceramic tachymeter bezel with details on the side of the bezel to evoke speed, a skeletonized dial in a hexagonal pattern that emulates the details on the latest Vantage, and reshaped lugs that are inspired by the bodywork of Aston Martin&apos;s cars.